When adding lookup fields to your Formyoula forms you can use the record that was retrieved using the lookup search to update the entry in Salesforce. Add a lookup field to your form. 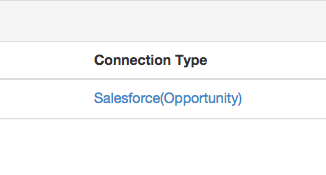 We will use an Opportunity lookup that will be used to update an existing opportunity in Salesforce. Save your form and go to your form connections. Create or open your existing Salesforce connection. Scroll down to the "Salesforce Record Settings". Select the lookup field you would like to use in the "Update based on lookup" select list. 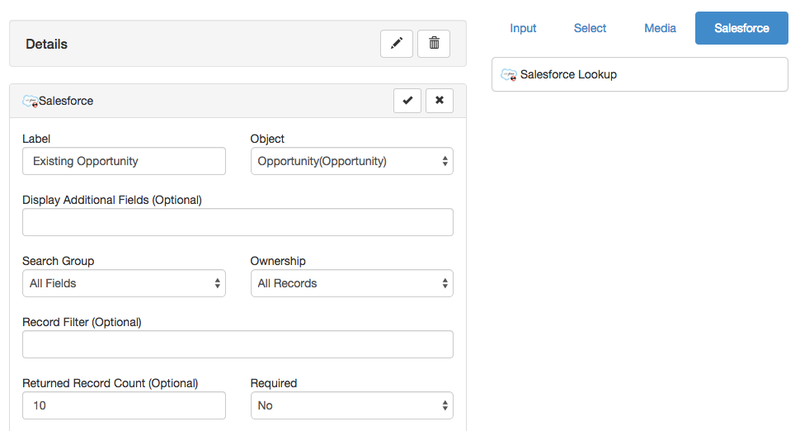 Whenever the lookup field will be filled in on your form the mapping fields on the connection will be used to update the existing record in Salesforce.